No doubt, the iPhone and iPad are the premium gadgets popular among plenty of people. Even though the iOS devices work perfectly and smoothly for all your requirements, it is important for you to keep the system clean and secure. 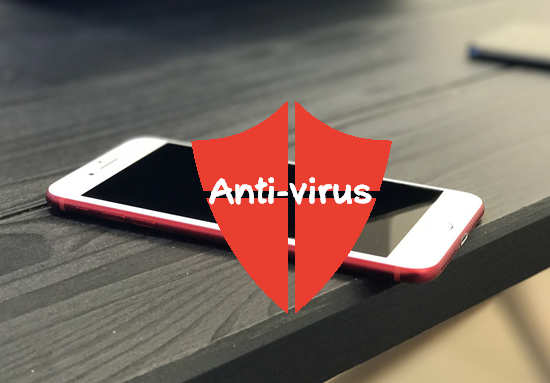 If you haven’t installed any Anti-virus software on your iPhone/iPad, your device will be infected with deadly viruses, spywares and malwares, which will ultimately prevent your handset from working properly. Moreover, the phone will consume more memory resources than it is supposed to, which will lead to severe battery drainage. In this scenario, you should make use of the Antivirus software available for iOS platforms. The purpose of Antivirus software is to prevent virus from entering and damaging the operating system. To protect your privacy and your device, it’s recommended to install a excellent Anti-virus app on your iOS device. In this article, we will provide a list of the top8 best antivirus for iPhone and iPad free of cost. As mentioned above, you should provide security for your iPhone and iPad to work smoothly on a daily basis. Thus we have provided a list of 8 best antivirus for iPhone and iPad. You can pick one from these to not only protect your iPhone but also save valuable data. Avast would be the first name that comes to the mind when talking about antivirus software. The Avast Security is an antivirus app available in free and Pro versions for iPhone and iPad from Apple App Store or its official website. The software is capable of protecting all iOS devices that are connected to Wi-Fi or WLAN networks. The main reason for the Avast Secure-Me to become popular is that it is fast, stable and efficient. Moreover, the software consumes less resources and hence it is an ideal choice for iPhone and iPad users. The Avast Security app enables you to automatically search for all available Wi-Fi network and notifies whether the network is safe or not. It also ships with a dedicated Virtual Private Network (VPN), which enables you to encrypt browsing data and make it secure and reliable. Moreover, the app will protect emails, browser history and personal data from cheaters. With Avast passwords, you can protect all account related passwords under one singe master password. McAfee is a popular brand when it comes to antivirus segment. The McAfee Mobile Security will automatically send notifications about the security bugs and protects your iPhone device. You can download McAfee Mobile Security for free from iTunes. You can also opt for Pro version by paying a nominal amount. The app protects your devices from bugs. The main advantage of McAfee Mobile Security is its ability to easily track physical location in case if your device is lost. You can also get a photo of the person holding your device. Trend Micro Mobile Security is another popular active antivirus with plenty of features and specifications. The app will protect your iOS devices in an improved way with support for cloud storage. The tool automatically performs scan of your OneDrive account. The Trend Micro Mobile Security includes an advanced SPAM filter, which automatically block all the unwanted call and messages. With the integrated password manager, you can safely store all your passwords with an encrypted PIN. The app is popular and gets excellent rating on the official Apple App Store. Even though the app comes with plenty of features, you will have to pay to unlock all functions. The LogDog Mobile Security makes use of top security protocols to keep viruses and online frauds at bay, so that your device will get complete protection against online fraud activity. The app continuously monitors the activity of users and maintains a detailed log for safety. After installation, if the Log Dog Mobile Security detects any suspicion, the app will automatically report the presence of the virus and cleans it perfectly. The app will completely protect your device from bugs including keeping both local and online accounts safe. The company regularly updates the app to provide maximum security for your important iPhone and iPad. F-Security SAFE is equipped with safe browsing functionalities. Your iPhone will be protected while you are streaming over the web or performing your online activities. The data stored inside the device will never get damaged if you install the app. In addition to the ability to block unwanted calls, the F-Security SAFE also detect and clean harmful apps. You can easily recover data from the device if there is any intrusion of any unwanted activity. The Lookout Mobile Security is the best mobile protection for iPhone or other iOS devices. With Lookout Mobile Security, you will be able to backup all the personal data including the ability to protect Wi-Fi from unsecured Wi-Fi network. Your device won’t be compromised by unsecure Wi-Fi installations. The Lookout Mobile Security also helps you to tracks your device if you lose your device. You can download the software for free to experience complete protection against viruses, cyber attackers and unsecure Wi-Fi. The latest release ships with new features to enhance the performance of the devices. Norton Mobile Security is a popular security brand and is famous among PC users. With the rapid growth of smartphones and tablets, Norton has developed Norton Mobile Security for the benefit of Android and iOS users. The app is popular because of the minimal user interface and is capable of protecting your iOS device from cyberattacks. Norton Mobile Security also enables your device to protect from unsafe website browsing. The Safe Browsing functionality will alert you if a harmful website invades your device. The app will protect your iPhone from malicious links and phishing. Avira Mobile Security not only protects your personal information or data but also media files, emails and credit card numbers. The app helps you to keep track the pinpoint geo-location of your iPhone via the integrated phone locator. The Avira Mobile Security app is capable of protecting your iPhone from malicious threats. The app also blocks unwanted calls and prevent banking Trojans from accumulating inside your device. The main attraction of the app is the addition of an elegant user interface and robust security tools. Total AV Free Antivirus is the ultimate solution for all the security needs of iOS devices. It comes in both a paid and free version. It is featured with many advanced and effective tools which will help you to keep your device secure and protected. You can download it for free and but its services as per your need. You need to create an account to avail its free features and look for the in-app purchases. It is featured with system boost tools and browser extension for Chrome and Edge. It scans the device quickly and provides real-time protection from ransomware. It provides remote firewall and password vault for advanced protection. It renders an option to check the threats while browsing, installation and performing other tasks on a mobile phone. It scans, locates and removes all the duplicate and copied files. It scans the device quickly. It does not affect the performance of the device. It has a simple and easy interface which is ideal to be used by beginners. The application runs slowly and with lag many times. All the advanced features require a paid subscription. There is no option to quarantine threats in the free version. Panda Security Free Antivirus is trustworthy and high-rated antivirus program which you can easily install from App Store. It offers all the fundamental features of security for free. But, you can unlock the advanced features by paying and upgrade the app to the premium version. You can enjoy 30-days free trial if you want to experience the advanced features before investing in it. It offers limited VPN service for free. It is featured with a real-time scanner, location tracker, process monitor, password manager and cleanup tool. You can enable anti-theft features and track and lock the device remotely anytime. You can use unlimited VPN services by using the premium version. It provides protection from ransomware as well. It comes with parental control tool which you can use to track the online activity of your child. It scans the SD card and all other external media. It has a simple and user-friendly interface. It does not affect the workability of the device much. Majority of its advanced features are not available for free. Its VPN service is limited to 150 MB bandwidth per day. If you want to use a lot of features together in one place then you must go for BitDefender Mobile Security Free app. It consists of all the required features as per the necessity of iOS users for free. However, you may find ads and pop-ups while using it which you can remove by buying its premium version. It offers unlimited VPN services for free. It is compatible with both iPhone and iPad. It consists of anti-theft feature and email breach protection. You can browse as an anonymous using this application. It keeps the files secured using the encryption technology. You can track the online and other activities of your child using its parental control tools. It is featured with a password manager and device optimizer. It provides a secure platform for safe online shopping. It affects the performance of the device very lightly. The ads and pop-ups do not show up continuously. You can control the device remotely to protect it from theft. It offers many features in its mobile version. It uses the user’s real-time location even the app is not active. It drains the battery and reduces its life. It is easy for the app to get connected to other devices. It scans all the external media and connected devices. It has quite a clumsy interface which does not render a hassle-free environment to use an antivirus program. It is not an ideal app to be used by beginners. The user needs to have some technical knowledge. Apple iPhone and iPad are also a target of viruses and malicious threats including malware and ransomware just like any other mobile device. Hence, you should protect the device from threats by installing any one of these antivirus app. You should set up protection shield as soon as you complete the installation. We hope that our list of 11 best antivirus for iPhone and iPad will help you get the suitable one to protect your device and secure data in the long run.